This article was written on 10 Apr 2011, and is filled under Very Good Espresso. Thoughts: After the the abomination at Lavazza Café at Eataly, I needed to know if there was a problem with Lavazza imports to North America and remembered that Timi’s Gelateria Classica served Lavazza and had a nice looking espresso machine. 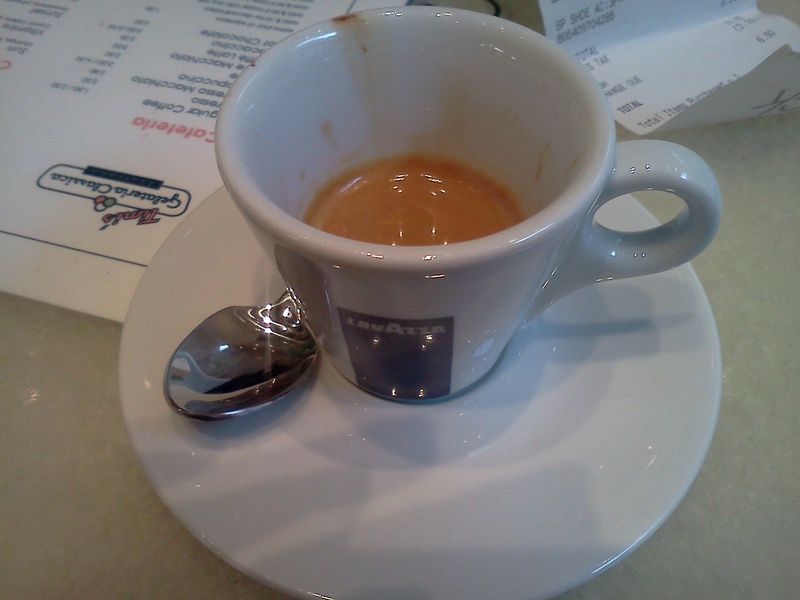 I’m glad to report that Timi’s serves the real Lavazza – the espresso cup was properly heated and the espresso itself was full-bodied and smooth – what you should expect from Italy’s most popular espresso. Side note: The gelato here is also excellent!